At the beginning of each new year people around the world express their hopes and desires for seemingly elusive peace on earth. In the past year there have been many strides toward that goal. The greatest threat to peace and our survival, nuclear weapons, are at long last on the road to abolition. The people have spoken and leaders have heard. This new year we must recommit to the steps necessary to make this a reality. Nuclear weapons are a global problem, affecting all nations, and impacting future generations and the planet that is our home. A global ethic is needed if we are to reduce the nuclear threat and work towards nuclear disarmament. ...peace must be built on justice, socio-economic development, freedom, respect for fundamental human rights, the participation of all in public affairs and the building of trust between peoples. This profound message was delivered Dec. 7 to representatives of 158 nations, the UN and more than 100 international, civil society, academic and religious organizations in two days of testimony about nuclear weapons from experts on health, humanitarian and environmental law, climate change, agriculture and the global economy at the Vienna Conference on the Humanitarian Impacts of Nuclear Weapons. This conference focused on the recent scientific reports on global humanitarian effects of these weapons and the impotence of any effective response to their use. These weapons long known to threaten our extinction if large numbers were used are now recognized to be much more dangerous threatening the lives of approximately two billion people from the climatic disruption that would come with the firing of only 100 weapons—representing just 1/2 of 1 percent of the global nuclear arsenals. "We urge all states to commence negotiations on a treaty to ban nuclear weapons at the earliest possible time, and subsequently to conclude the negotiations within two years. This will fulfill existing obligations enshrined in the Nuclear Non-Proliferation Treaty, which will be reviewed in May of 2015, and the unanimous ruling of the International Court of Justice. Negotiations should be open to all states and blockable by none." And yet the governmental actions of the principle nuclear nations of the United States and Russia who hold ~94 percent of the global stockpiles fail to recognize the reality of the people’s demands. As though stuck in a Cold War time warp, the U.S. is planning to spend a trillion dollars over the next 30 years on modernizing our nuclear arsenals and Russia is unveiling its rail ICBM system as we are all held hostage to these immoral weapons of genocide. The mythological illusions of security based on deterrence only serve to fuel an ongoing arms race robbing our children and indeed the poorest nations of the world of precious resources creating the very conditions that foster additional conflict and violence. This is not acceptable and the growing chorus of world leaders and the people are getting louder every day. This year marks the 70th anniversary of the bombings of Hiroshima and Nagasaki. The diminishing Hibakusha survivors of these explosions are a daily reminder of the atrocities that mankind has wrought. When your children’s children ask what you did to make peace a reality, what will be your response? Now is the time to take action and make your voice heard. Let there be peace on earth. 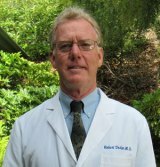 Robert F. Dodge, M.D., is a practicing family physician, writes for PeaceVoice, and serves on the boards of the Nuclear Age Peace Foundation, Beyond War, Physicians for Social Responsibility Los Angeles, and Citizens for Peaceful Resolutions.